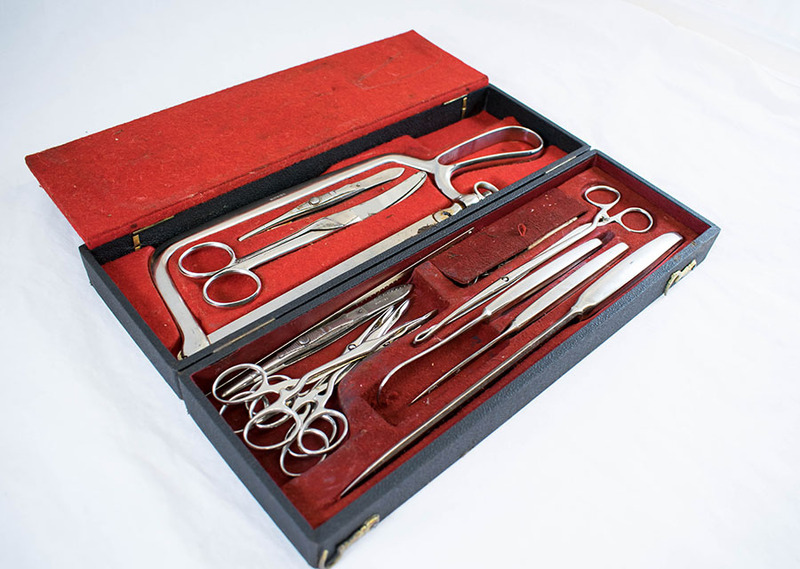 Boxed surgical kit, including bow-frame amputation saw, spare saw blade, curved surgical scissors, 2 Liston-type amputation knives, 5 scissor clamps, 2 clamping tweezers, hook, and needles. 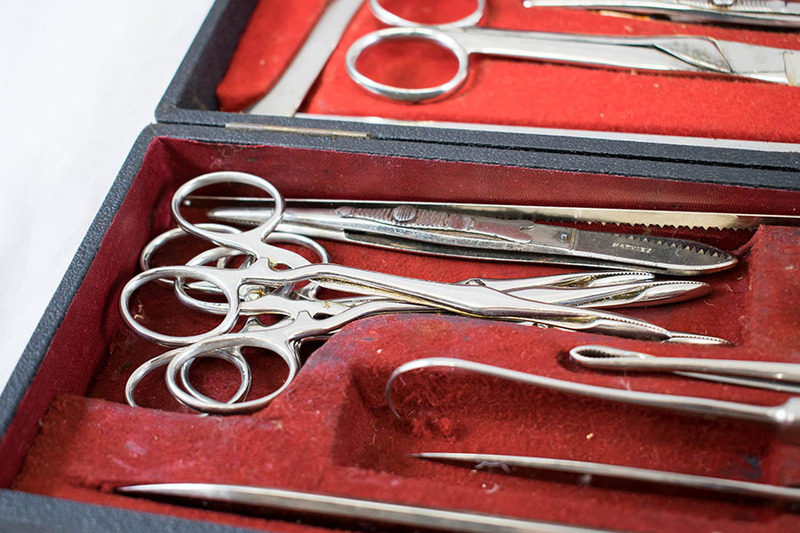 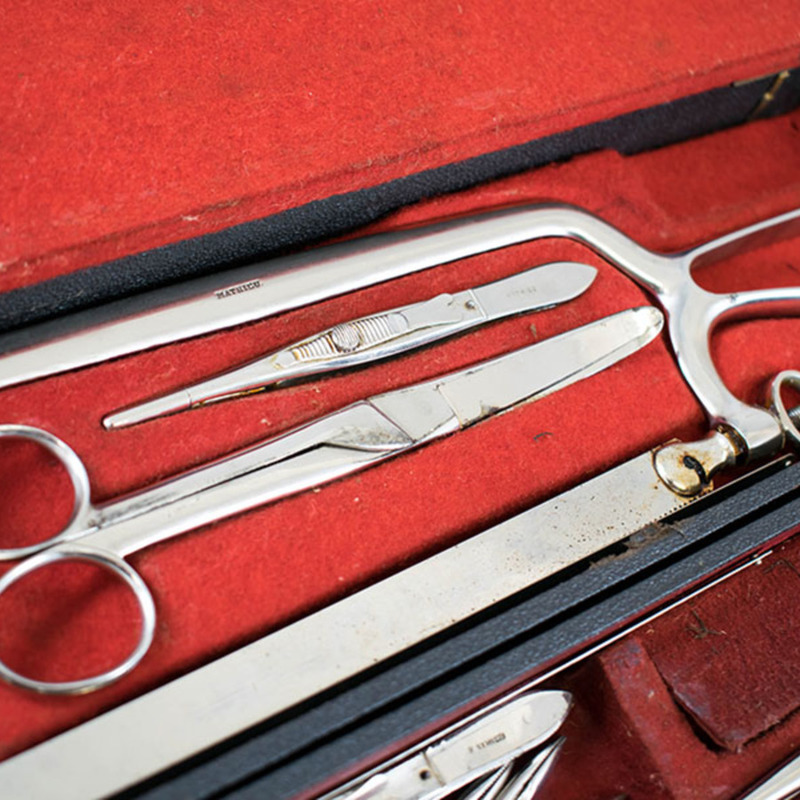 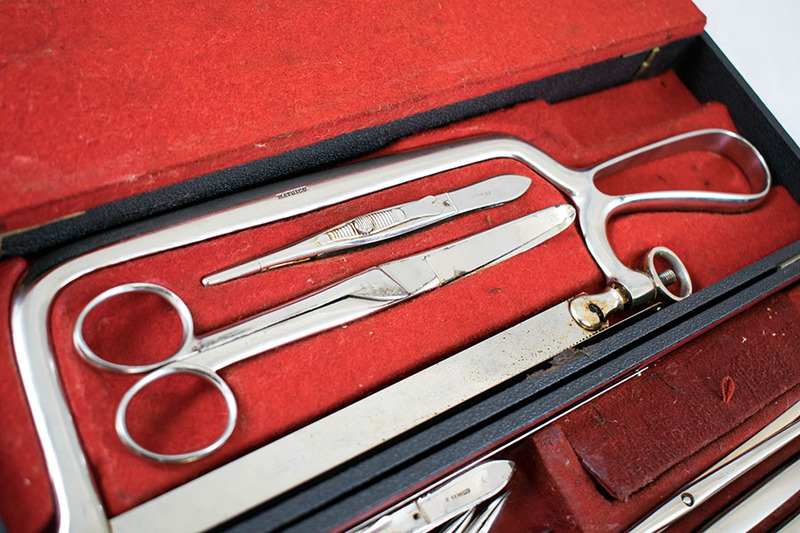 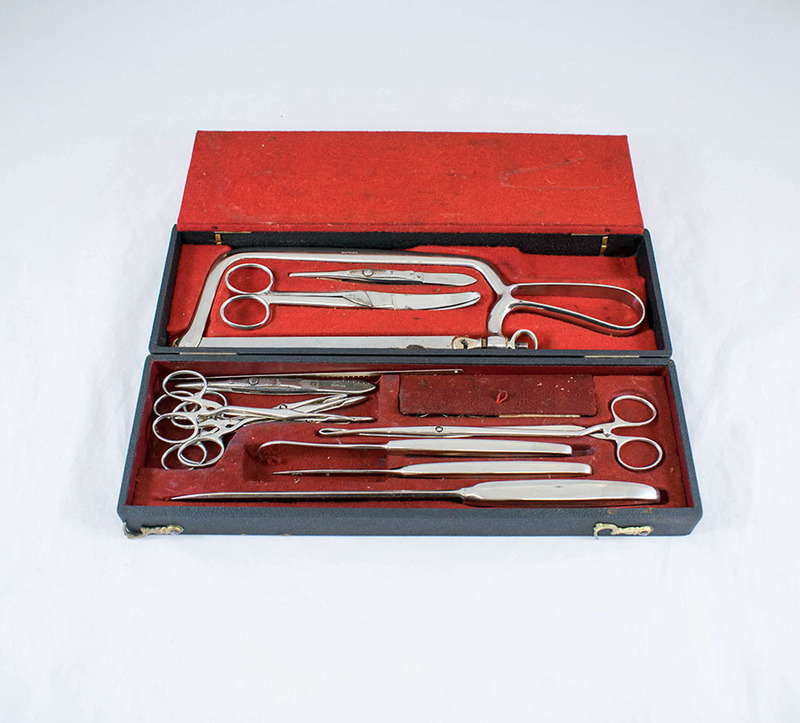 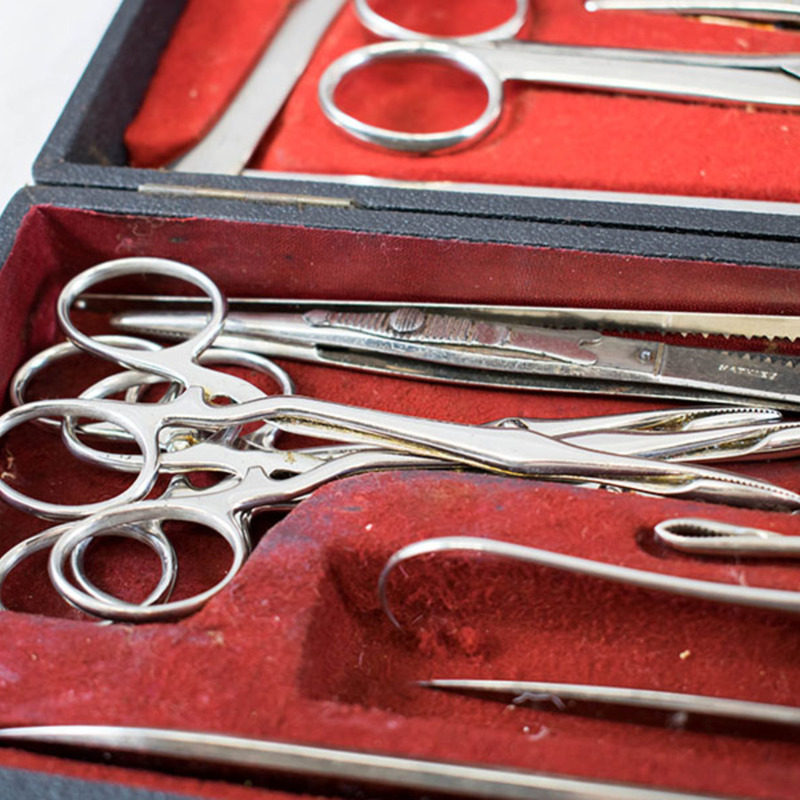 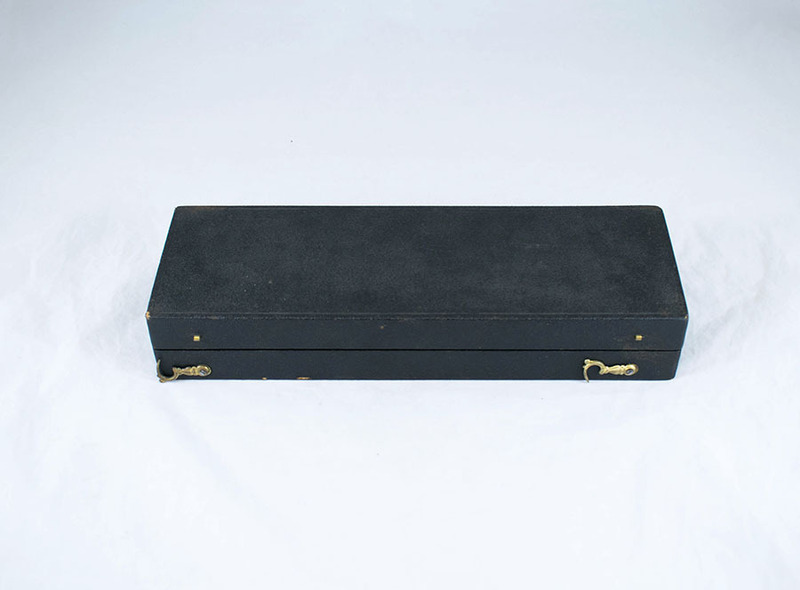 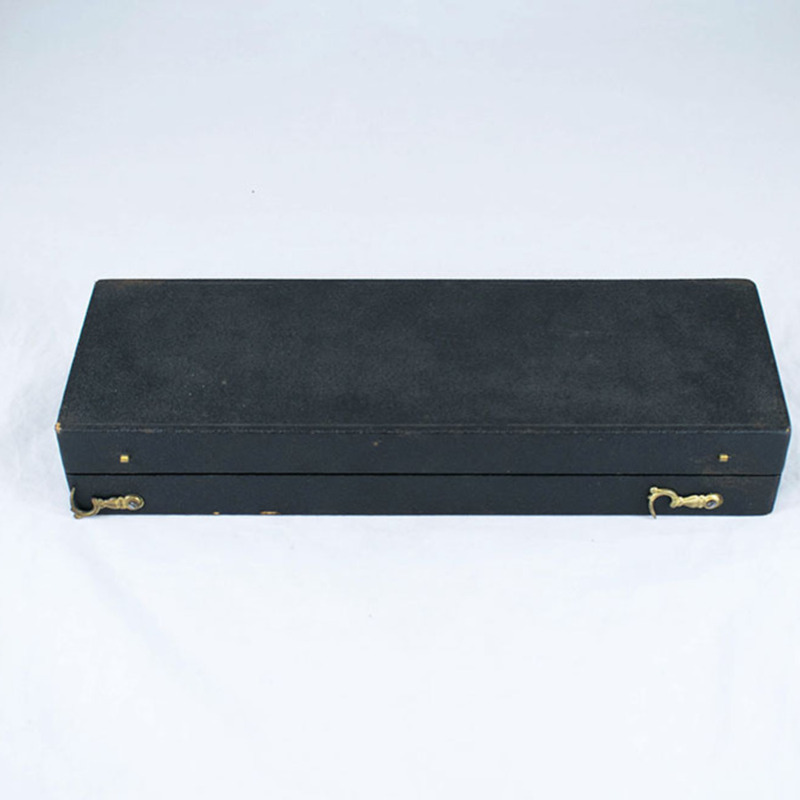 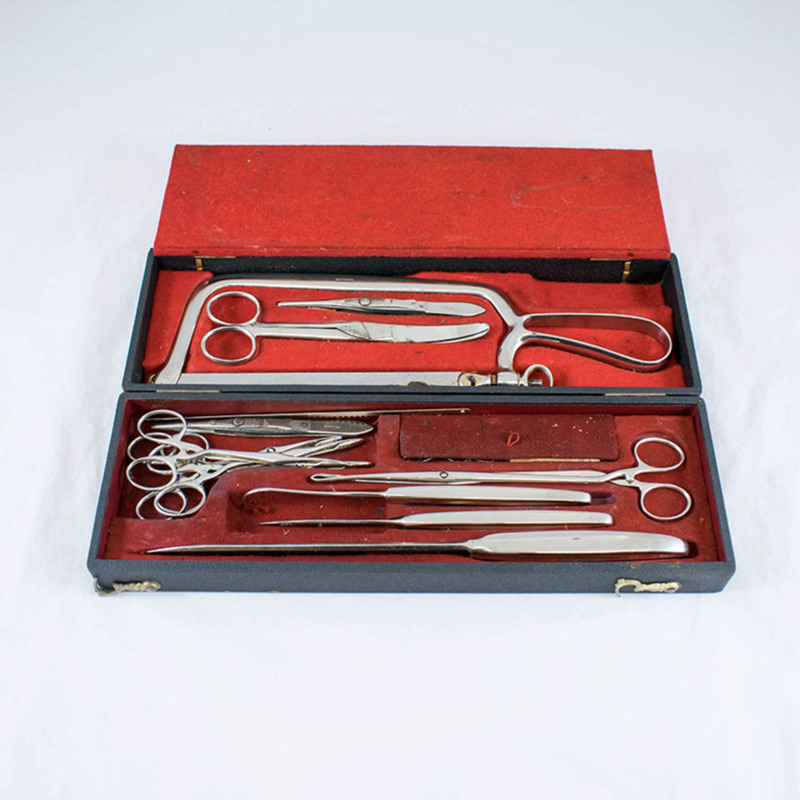 L. Mathieu; c.1851-1890; Surgical instrument maker, “Surgical Kit,” Heritage, accessed April 24, 2019, https://heritage.rcpsg.ac.uk/items/show/853. 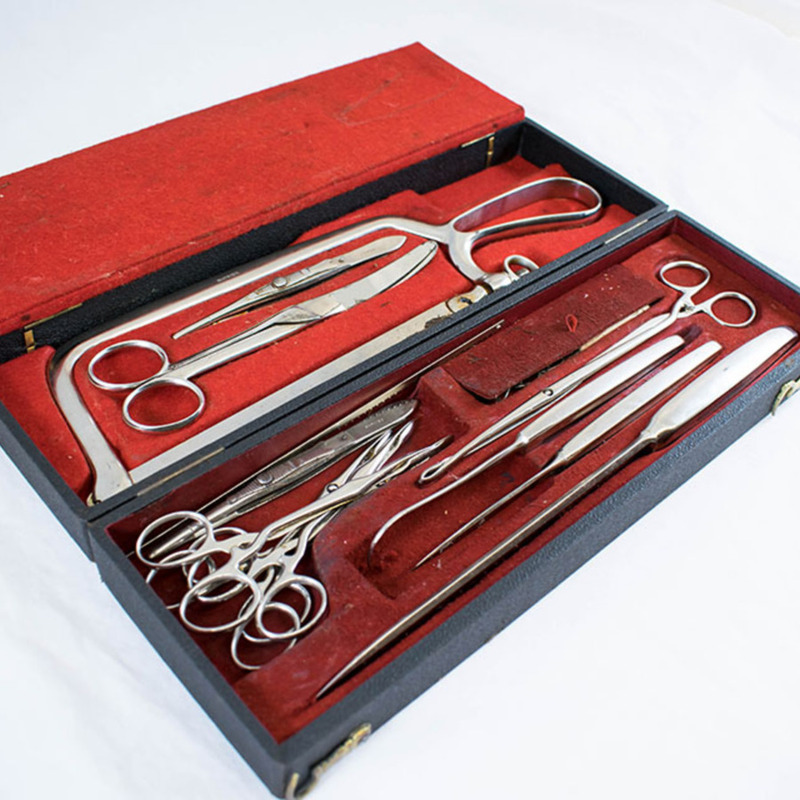 Description: Boxed surgical kit, including bow-frame amputation saw, spare saw blade, curved surgical scissors, 2 Liston-type amputation knives, 5 scissor clamps, 2 clamping tweezers, hook, and needles.